You’re in the city centre, you feel the need to escape from the chaos that sometimes fills the street of London, or perhaps you might just want to find a place to meditate for a while, have a run or just a quiet space. The fact is that you don’t know where to go, especially in the centre. How about visiting Holland Park? this could be the perfect place to satisfy your needs, standing as a green peace oasis in Central London. What is amazing about this park is that it is extremely quiet, you can wander around surrounded by nature as if you were in a countryside place. There is place in Holland Park however, that is not super quiet, but still very enjoyable, this is the case of the Kyoto Garden. It has recently become a major tourist attraction because of the two peacocks that inhabit it, the Koi fish that populate the lake that surrounds the garden and its zen vibes. Despite frequent tourist invasions during weekends when it comes to Kyoto Garden, Holland Park in general is a wonderful green spot where to take your favorite book for a tour, or where to wander if you’re interested in international vegetations (the Japanese Garden for instance is called as such because its vegetation is originally from Japan, and it’s the same with the Dutch Garden). A tranquil unique place suitable for all generations, Small is indeed beautiful. Peacocks strut around as if they own the place,suitably proud. Really lovely spot in the hustle and bustle of Kensington. Kyoto Garden is especially pretty and a great spot for that perfect insta. Great to combine with a trip to the Design Museum which is in the park and free! A small but incredibly cute park. It has quite a few green spaces where you can sit and chill or set up for a picnic. They have a couple of cafes and toilets. If you walk towards them (The Belvedere in particular), you’ll come across a stylish bit, French-garden style. 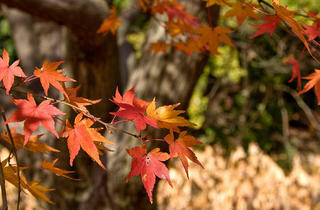 The one thing you shouldn’t miss out on is the Kyoto garden. Japanese-inspired, it is a lovely place for a stroll. And it even has peacocks! 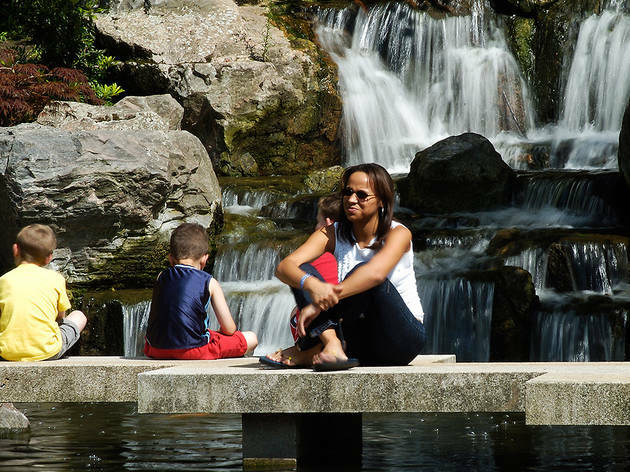 This park is always busy on a hot summers day and I'm not surprised at all as its one of my favourites parks in London! The beautiful Japanese Kyoto garden and waterfall attracts tourists as well as locals and makes you feel like you are abroad, taking you away from London's hustle and bustle. The calmness of the water and the scenic walk through it are truly one of a kind, and if you're lucky you may spot one of the resident peacocks too! The park also has a huge chess board and mini sand play area for kids as well as a cute little cafe and restaurant in the middle of the park. You can come here for a picnic or walk to the design museum through the park or even to hear the opera in summer! This maybe a diddy little London Park but it packs loads of charm and character. The Kyoto and Dutch Gardens are so beautiful and tranquil. The Japanese garden was amazing and it was lovely to see the water features and fish.The park has loads of play areas for kids as well - useful for hyper little ones. And there are many sculptures dotted around the place that make it even more intriguing. It is almost like a collection of gardens - it's so lovely and provides such a contrast in space compared to nearby Hyde Park. A stone's throw from Kensington is the beautiful, tranquil park. 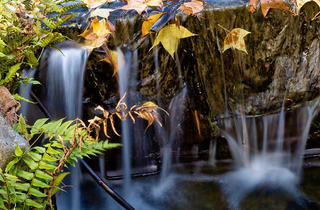 Explore a little slice of Japan with the stunning Kyoto Garden - colourful and calm, with a stunning waterfall feature. Try and find the Peacock if you can - we spotted it hiding up a tree! Beautiful park extending from Kensington High Street to (almost) Holland Park Central Line station. The northern section of the park forest like with a number of cute squirrels living in it. In the middle section, there is a sports field with tennis courts and football pitches. On a nice summer day, there are plenty of picturesque scenes to capture. Families having picnics, dogwalkers walking beautiful dogs, to a couple strolling hand in hand in romantic forest like path. This is officially my favourite green space in London. It made me feel like I was in the countryside. I've only been here once last month and looking at everyone else's pictures, I am thinking I went at the wrong time of year! This lovely little garden is sort of overshadowed by its near neighbour of Kensington Palace Gardens/Hyde Park which are a mere ten minutes away but they are well worth the visit. I was pleasantly surprised by the Kyoto Gardens which are small but perfectly formed. I explored some of the gardens which were larger than I imagined and great for strolling. I shall have to go back at a different time of the year to see it at its best! I used to live near Holland Park and for some reason, never visited it. Well, today I realised what I had been missing. A park for all people. It's serene, interesting, beautiful and a wonderful community space.Youngsters playing football , beautiful Kyoto gardens (didn't see the peacocks), green luscious woodland and flowers. Apparently, there are facilities for golf, tennis and cricket, too. This visit has made me more determined than ever to come to the Opera here. Not surprisingly, I hear it's wonderful. 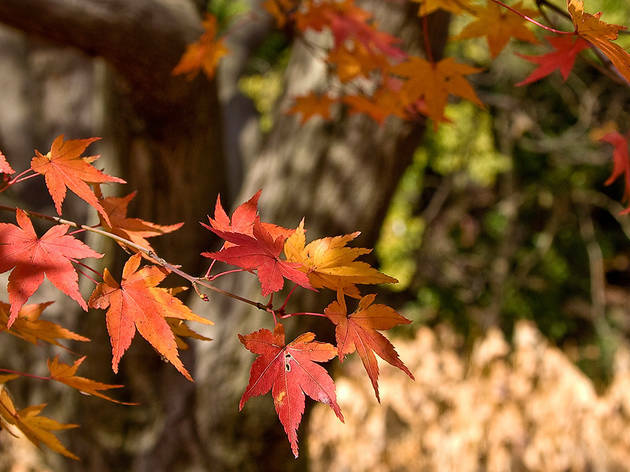 Surrounding the new Design Museum is the large green field of Holland Park and if you walk to the top of the tree-lined path, you'll find yourself at the Kyoto Garden; a serene hideaway in the centre of London. The first thing you may notice are the beautiful (real!) peacocks roaming the gardens like lords and ladies of their manor. Japanese Maple and Bonsai trees surround the pond and waterfall which homes a variety of fish including Koi Carp. 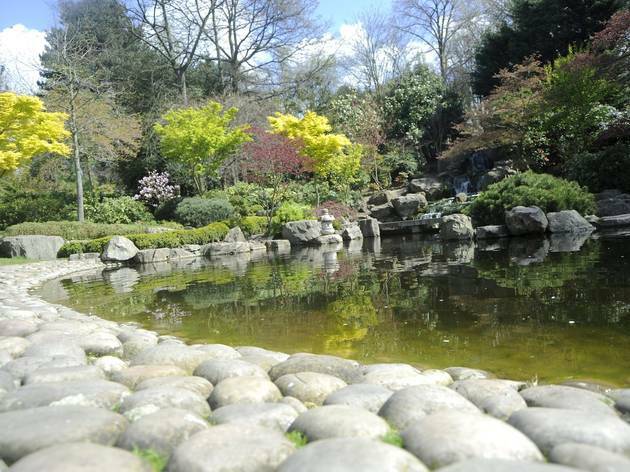 The Kyoto garden is a beautiful place to spend a lunch hour, a date or just escape on your own and take in the surroundings. 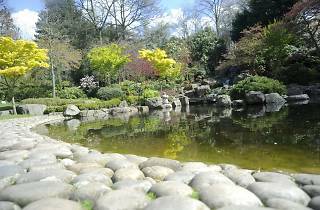 The Japanese garden in Holland park is a very beautiful and zen place to visit. There were also peacocks walking around in the garden which was really cool to see as I think peacocks are brilliant birds! The rest of the garden is like a maze and you can walk around and discover different areas in the park. One of London's most beautiful parks that often gets forgotten about. Easiy to reach from High Street Kensington or Notting Hill, it's the perfect place to visit on a hot summer's day. 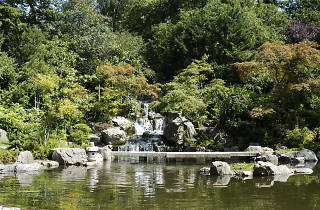 After living in London for 2 years I have always wanted to visit the Japanese gardens in Holland Park. I heard the weather was going to be special and wow it was super sunny and the middle of spring meaning all the beautiful blossom was out in force. The park itself was really busy and the toilet queue absolutely unrealistic to even attempt but for a full walk around the park you only need a good 45 minutes which will give you time to see everything special in this park. We brought a mini picnic with us and it was a really delightful spot. Safe to say this is m new favourite park! Try and grab a visit in spring to see the blossom and tulips. One of the most beautiful parks in London by far. Believe it or not, sadly this was my first time ever to visit Holland Park. I know it's terrible. Where have I been all this time? I visited the weekend just gone. It was a beautiful morning well spent in what was the most glorious park in London. You'll find many entrances around the park. If I recall it was the entrance close to the Holland House. It's place full of history, it's almost like entering a garden palace with a magnificent structural design to the exterior. It was like entering the unknown and discovering what was surrounding me. Moving onwards, I found a stunning garden. It looked like a maze. Every part of the park was situated perfectly and I feel that there is a meaning behind each path and each section of the park. It gives us a story to think about. We have the privilege to walk around with the ravishingly, colourful peacocks. I do love peacocks, it was magnificent to be so close to one. Being able to hold a squirrel on your hand and to see what nature really has to offer. It's all very exciting. The smell of fresh air, the colours of the flowers were appealing to my eyes and the details on the walls and staircases were rather peculiar. You'll find an alleyway with exquisite paintings on the wall and a rather delightful hut-like house. (Reminded me of Hagrid's hut from Harry Potter). The Kyoto Garden is a charming, elegant, tranquil, heavenly place. This was probably the best part of Holland Park for me. Once you enter The Kyoto Garden, you set foot into a whimsical world of inner creativity and the most astounding layout. The stones along the pathway, the Japanese-inspired look to the structural design of the garden brings such an extraordinary beauty to the picture. It was truly a breathtaking sight. It really does feel like your stepping into a new world. This is not to be missed. I know that everyone from all ages will love this park. You'll find anyone and everyone of all ages with their adorable dogs. It's wonderful to see all the interaction. There is also a humongous football pitch and it's extremely close to the newly built Design Museum. There you have it. It's sorted. You pretty much have a day of exploring. A piece of fairytale in the middle of west London. With its incredible looking Japanese garden filled with ponds with tremendous fish and majestic peacocks, it’s the perfect spot on a sunny day. There are some lovely Snow White looking buildings in the park too and some small galleries for art fans – who will also enjoy the sculptures scattered in the park. If you happen to be a Pokemon Go fan, gosh will you be ecstatic: it’s filled with Onixes and other super rare creatures waiting to be caught. Finally, even the walk up to the park will be pleasant as it’s filled with beautiful mansions. It took me over 11 years, but I finally visited Holland Park today. What I love about London parks, is that there’s always the cultivated and organised part with lawns mowed and clean pavements, but if you want something a little bit more wild and raw, you will always find it. Holland Park is no exception. I thought I’ve seen all London palaces so far and had no idea I’d find another one hidden in the greenery today. I expected something more from the Kyoto Garden, it’s really small, but still very pretty and offers tranquillity that I needed today. If you’re lucky, you may meet a peacock and a few fatty squirrels. If you’re there, you need to visit the new Design Museum nearby. The building is amazing! It may not be as well-known as the other parks in London, but Holland Park in Kensington ranks, at least to my mind, one of the best parks in London. 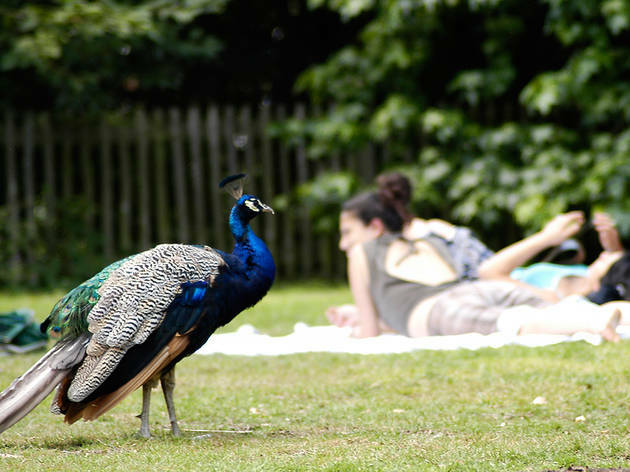 Not many parks in London can boast having exotic birds that freely roams around the gardens or squirrels that feel so at ease around humans. Some were virtually giving me their best 'Blue Steel' when I dared to get up close and personal with the little fellas for a portrait. Pack treats for them on your visit. 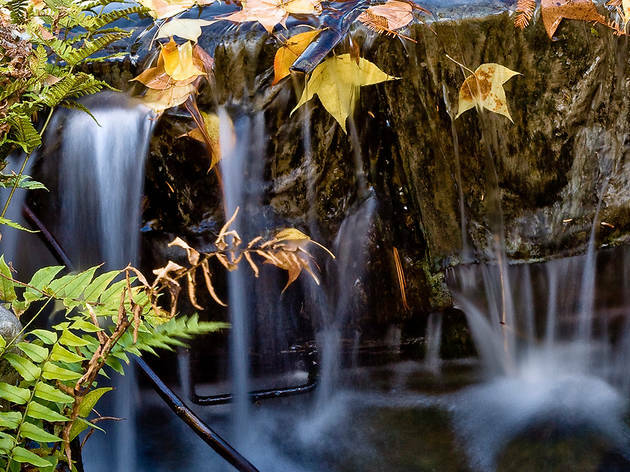 Yet to be discovered by the masses, Holland Park is a peaceful 53-acre site. It’s a large park but no so large as to make one feel overwhelmed by the size of it all. There’s weren’t many people around either when I visited. It's the perfect place to de-stress and grab some fresh air. You can easily lose themselves in your own thoughts on your strolls. Onsite, there are cafes and restaurants, sports facilities including tennis courts in one corner, ecology centre, Holland House and terrace. There’s a lot to explore and plenty to do in the park for the whole family to enjoy too. What I enjoyed most is the utterly serene atmosphere of the Japanese Kyoto Garden in the centre of the park. It’s an excellent recreation of the famous Japanese garden with a waterfall, a large pond with exotic fishes swimming around. It’s the perfect escape for peace and quiet. Holland Park easily reached by either Holland Park and High Street Kensington station. Easily often overlooked in favour of the other renowned gardens in London, this public park in West London, easily ranks as one of the best parks in London. I didn't know anything about this park until I went there by mistake. It is so unique that it doesn't even look like London. The Kyoto Garden is lovely! 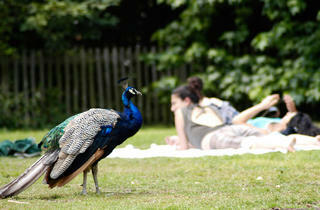 This park is perfect for any kind of activity, also for a simple walk between notting hill and high street kensington. It's full of attractions but of quiet ares as well. I love it. I have only relatively recently discovered this park and I am kicking myself for settling for more ordinary mainly grass parks up until now. Although smaller than some of the other London green spaces this park is punching well above its weight in variety, beauty and design. By far my favourite part of the park is the Kyoto gardens. Ive been lucky enough to go to several Japanese gardens in Japan and the planting and tranquility of this garden took me back there. It is an amazing space to re-set, take a deep breath and get back to yourself. Bizarrely one of the most understated parks in London. Came for a picnic and to see the Kyoto Gardens, which were beautifully serene. Words of advice, the peacocks are afraid of no-one and also, spray some insect repellent if you don't want a bite the size of an orange! Also, be on the look out for people Pokemon hunting ... it's like a stampede. Amazing opportunity to take a photo of one of the many Holland Park peacocks in the Japanese gardens standing on a small wishing well. Colours blend in well in the background with the vibrant colours of this dapper peacock. Holland Park has recently become my favourite London park. Although Holland Park underground station is currently closed, it is less than a 10 minute walk from either Notting Hill or Shepherd's Bush underground stations. The Kyoto garden was my favourite, with perfectly placed bonsai trees, a mini waterfall and a pond filled to the brim with koi carp. There was even a peacock wandering around when I visited last week. The slightly overgrown feel instantly made it feel like we weren't in London anymore and it's quite different from the other London parks with its paths and collection of trees and flowers. I think it's a great location for the summer, with different cultural events going on such as operas and children's activities. A definite must-see! Think of Holland Park as the boutique version of Hyde Park: prettier, posher, smaller and never heaving. There's something for everyone in these 54 acres tucked between High Street Kensington and Notting Hill: For the sporty it has a sports field, cricket pitch, tennis courts and outdoor gym equipment. Animal lover? The park is popular with locals for dog walking. From Labradors to Yorkie-poos, I've seen just about every type of dog breed here. If you forget the poop-bags, take doggy to one of the dog toilets instead. There's often an abundance of peacocks that love doing their display to show-off their feathers to spectators! Get your timing right and you'll see little chicks running around with their mums too. Occasionally wild animals such as pigs and cows are brought in to naturally control weeds and turn the soil in fenced-off sections, which makes for hours of great animal-watching. The rest of the park boasts different little sections- each one a treat to explore. 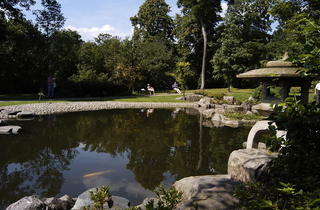 The Japanese Kyoto Garden is a beautiful and quiet place 'to reflect' and look at koi fish from the bridge on the pond. Go for a walk through the semi-wild woodland and you'll completely forget you're in central London. Don't be surprised if you manage to get a bit lost! In summer the ruins of Holland House (yes, Holland Park used to be someone's garden basically) are used to stage the famous Holland Park Opera. One year the seating was then also used for outdoor movie screenings which was fantastic. For the kids? The new, big and awesome Adventure playground has a mini climbing wall, aerial runway and climbing frames which will tire them out in no time. Even toddlers have their own playground with sand pits, swings and mini frames. The park also has a restaurant (well-known Belvedere which has a great value set lunch menu if you don't want to splash out on the a la carte prices), orangery, cafeteria, ecology centre, and, just to balance out the refinement, even a youth hostel and police station! So whether you want to take the dogs for a walk, kids for a play, enjoy a coffee or just have a stroll, you won't be disappointed visiting Holland Park. 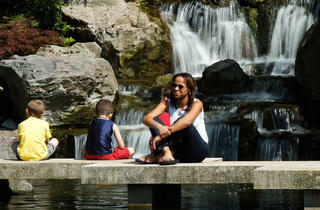 I visit Holland Park once a year to meet up with a friend and her daughter. Our daughters are now too old, but in previous years have taken advantage of the fantastic selection of events taking place in the Ecology Centre (which I believe has recently been refurbished). This year we all went just to walk and talk. 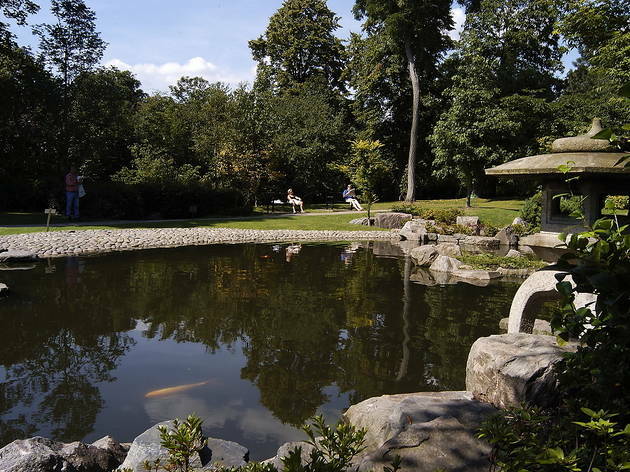 The park is big enough for a good walk round and has woods, ornamental gardens; and a wonderful Japanese garden with a waterfall and quiet contemplation area. There is a playground which would suit children from very young up until teenagers. There is a cafe, but it only has sandwiches, cakes, tea and coffee. There are ice-creams to buy alongside the cafe, and they are worth the steep price. There is a more expensive restaurant called the Belvedere, run by Marco Pierre White and an excellent art studio, called the Ice House. There are tennis courts and lots of events happening on a daily basis. Look on their website before you visit for information on these and lots of interesting facts about the history of the park. 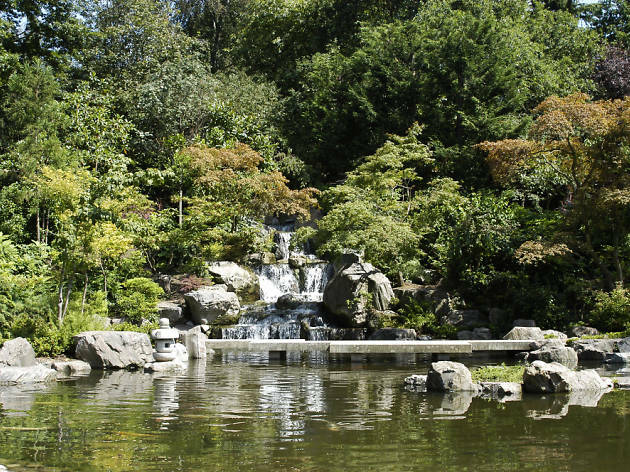 My intention for visiting Holland Park was to see the Kyoto Garden which I'd heard and read so often about and safe to say I wasn't disappointed! I've previously visited the Japanese Garden in Monte Carlo, but London's far out-shone theirs, such a beautiful and peaceful place to be. The full springtime bloom at the time of my visit definitely added to the garden's gorgeousness and visiting alone meant I was fully able to appreciate the peaceful vibes and 'space for thought' of the Kyoto Garden, although would also be a perfect location for couples. The rest of Holland Park is definitely underrated too! This is such a beautiful park and a wonderful place to take a romantic stroll, have a picnic or even take a fun jog. There are so many things happening in this tranquil park - including some rather wily peacocks that roam free - that it's a really fun, varied afternoon out. Bit it's not as busy as it sounds. You can definitely get a moment of calm in the Kyoto Garden with its big koi pond, waterfall and peaceful atmosphere. I would say to go and read a book there but to be honest, the sound of the water trickling down to the pond where the little fish mouths ripple the surface will distract you so much that you'll have to read the same page five times before you realise you're not going to soak anything in. Also great areas for kids are the wild forest play area (closed for winter - check back in summer) and the pond and nature preserve which has regular open days. You can walk back in the woods with no buildings in site - and not believe you are minutes away from Kensington High Street. Another recently opened area is the remains of Holland House. When the opera is not set up - you can walk around the grounds and out along a high walkway surveying the park below.